The November auction at Jackson’s International totaled 3.6 million with an amazingly high sales rate of a little over 90 percent, almost double that of recent sales at many of the large auction houses, especially in the area of Russian arts and antiques for which Jackson’s has gained an international reputation and following. The sale attracted over 700 registered bidders representing over 37 countries worldwide. 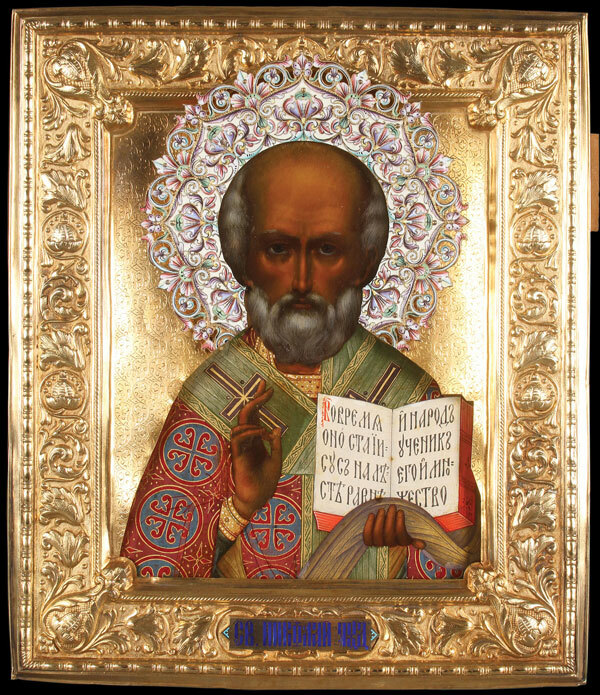 The auction featured the lifelong collection of Russian icons from the estate of the late Jose Antonio Danobeitia (1942-2011) of Toronto, Canada, as well as examples from other smaller collections. There were no shortages of buyers for the fine and unusual, and when it came to Russian icons, the trend of late (circa 1880-1915), high quality examples proved once again to dramatically outpace what was once the focal point of every Russian icon collection, early pre-17th century icons.